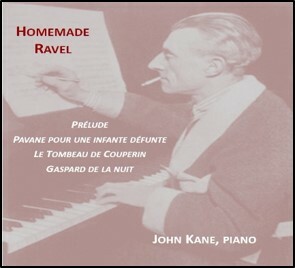 Homemade Ravel includes Prelude, Pavane pour une infante defunte, Le Tombeau de Couperin and Gaspard de la nuit. It is available as a full-length CD for $20+ S/H or individual tracks listed below can be purchased as MP3 downloads. Please click on track number below to hear a brief excerpt.